SuretyGroup.com writes all surety bond for the mortgage industry. Connecticut is the southernmost state in New England, home to more than three million people, and ranks fifth in quality of life with low crime and poverty, healthy residents and a strong education system, according to the Forbes 2016 best states for business report. Connecticut has a longstanding maritime presence and has a industry history of financial services, including insurance companies in Hartford. According to the Connecticut Real Estate Market Report published by Berkshire Hathaway Home Services, for the second quarter of 2017, the state has seen a 5.7% sales volume increase over the previous year. The robust real estate market means more homes are bought and purchased that often require mortgage loans. Home buyers can turn to mortgage brokers for loan preapproval and for finding the best mortgage loan type and rate that fits the buyer’s needs. Mortgage brokers in Connecticut must first obtain a license before offering to negotiate mortgage loans, take mortgage loan applications, offer mortgage loans with the expectation of being compensated for the services. Those not required to be licensed include any bank, out-of-state bank, in state or out-of-state credit unions, mortgage lenders, and nonprofit organizations. If a mortgage broker is not sure if a license is required, they may contact the Connecticut Department of Banking for more information at 800-831-7225. Mortgage brokers will need to apply for licensure through the National Mortgage Licensing System (NMLS), which is the agency that handles the Connecticut Department of Banking licensing. Mortgage brokers will also need to obtain $50,000 surety bond. The bond guarantees that client funds will be applied to their loan in accordance with state laws. If the mortgage broker misuses or misapplies the funds, then a claim can be placed on the bond. 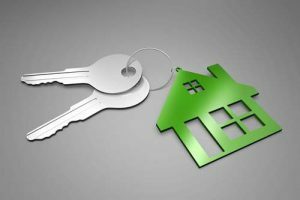 Connecticut mortgage brokers can get the surety bond they need from SuretyGroup.com to meet the compliance requirements for their license. We offer low rates and fast service. Email info@suretygroup.com, apply online or call us today at 1‑844‑432‑6637!